Triple Axis Accelerometer Breakout - ADXL335 analog voltage output accelerometer sensor from Analog Devices. 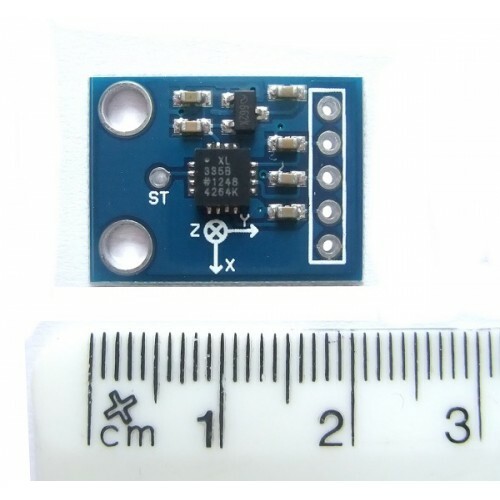 This is the latest in a long, proven line of analog sensors - the holy grail of accelerometers. The ADXL335 is a triple axis mems accelerometer with extremely low noise and power consumption - only 320uA! 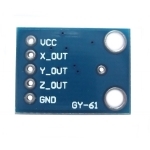 The sensor has a full sensing range of +/-3g. It can measure the static acceleration of gravity in tilt-sensing applications, as well as dynamic acceleration resulting from motion, shock, or vibration. 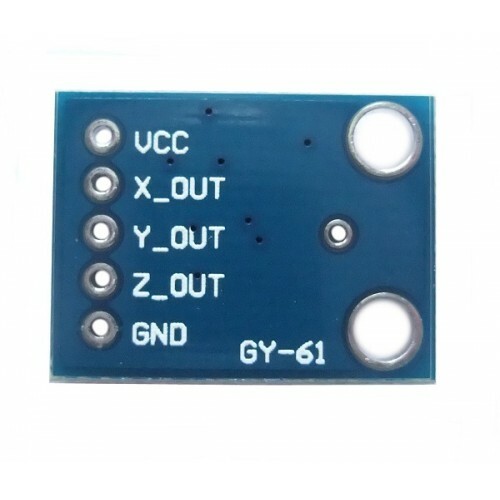 There is an on-board 3.3V voltage regulator to power the ADXL335 so power provided should be between 3.3V and 6V DC. 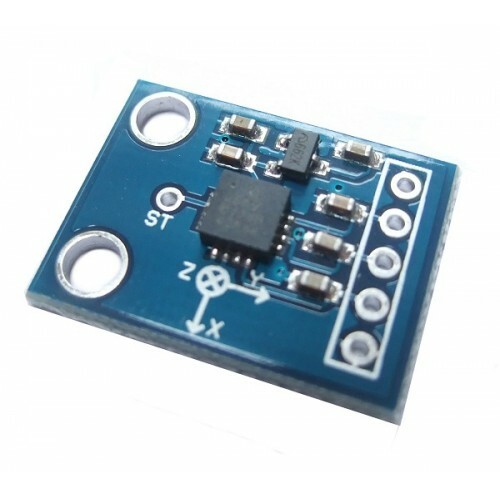 The Triple Axis Accelerometer Breakout (ADXL335) board comes fully assembled and tested with external components installed.